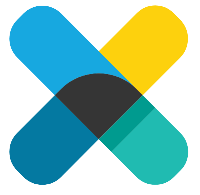 Dattell, a data architecture company expert in open source technologies, is pleased to announce our formal partnership with Elastic, Inc. as an official reseller of the Elastic X-pack. The Elastic Stack is a series of open source technologies for collecting, transforming, ingesting, storing, visualizing, and analyzing data. Organizations of all sizes are using Elastic products for big data management, business analytics, operational intelligence, and more. Dattell has long been designing, implementing, and maintaining Elastic technologies, and will now be able to serve our clients even better as an official reseller of the X-pack. X-pack provides additional functionality that is not inherent in the open source solutions. The additional features include bundled security, alerting, monitoring, reporting, and enhanced visualizations and analytics, such as machine learning. Dattell will continue to support the fully open source Elastic Stack products. Our engineers are experts in open source software while remaining technology agnostic and possessing an extensive understanding of how the technologies work together. Our clients benefit from our relationships with the makers of many open source technologies, and simultaneously gain additional value from our comprehensive and independent perspective. For more information about Elastic X-pack visit, https://www.elastic.co/products/x-pack. For more information about Dattell’s Elastic services, visit our Elastic Consulting page.